Christian Gottfried Ehrenberg (19 April 1795 – 27 June 1876), German naturalist, zoologist, comparative anatomist, geologist, and microscopist, was one of the most famous and productive scientists of his time. The son of a judge, Christian Gottfried Ehrenberg was born in Delitzsch, near Leipzig. He first studied theology at the University of Leipzig, then medicine and natural sciences in Berlin and became a friend of the famous explorer Alexander von Humboldt. In 1818, he completed his doctoral dissertation on fungi, Sylvae mycologicae Berolinenses. In 1820–1825, on a scientific expedition to the Middle East with his friend Wilhelm Hemprich, he collected thousands of specimens of plants and animals. He investigated parts of Egypt, the Libyan desert, the Nile valley and the northern coasts of the Red Sea, where he made a special study of the corals. Subsequently parts of Syria, Arabia and Abyssinia were examined. Some results of these travels and of the important collections that had been made were reported on by Humboldt in 1826. While in Sudan he designed the mansion of the local governor of Dongola, Abidin Bey. After his return, Ehrenberg published several papers on insects and corals and two volumes Symbolae physicae (1828–1834), in which many particulars of the mammals, birds, insects, etc., were made public. Other observations were communicated to scientific societies. 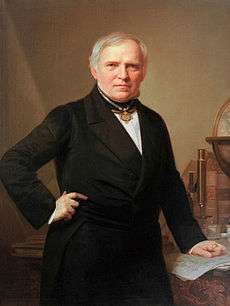 Ehrenberg was appointed professor of medicine at Berlin University in 1827. In 1829 he accompanied Humboldt through eastern Russia to the Chinese frontier. After his return he began to concentrate his studies on microscopic organisms, which until then had not been systematically studied. For nearly 30 years Ehrenberg examined samples of water, soil, sediment, blowing dust and rock and described thousands of new species, among them well-known flagellates such as Euglena, ciliates such as Paramecium aurelia and Paramecium caudatum, and many fossils, in nearly 400 scientific publications. He was particularly interested in a unicellular group of protists called diatoms, but he also studied, and named, many species of radiolaria, foraminifera and dinoflagellates. These researches had an important bearing on some of the infusorial earths used for polishing and other economic purposes; they added, moreover, largely to our knowledge of the microorganisms of certain geological formations, especially of the chalk, and of the marine and freshwater accumulations. Until Ehrenberg took up the study it was not known that considerable masses of rock were composed of minute forms of animals or plants. He also demonstrated that the phosphorescence of the sea was due to organisms. He was a member of the Royal Swedish Academy of Sciences from 1836 and a foreign member of the Royal Society of London from 1837. In 1839, he won the Wollaston Medal, the highest award granted by the Geological Society of London. Ehrenberg was elected a Foreign Honorary Member of the American Academy of Arts and Sciences in 1849. He continued until late in life to investigate the microscopic organisms of the deep sea and of various geological formations. He died in Berlin on 27 June 1876. After his death in 1876, his collections of microscopic organisms were deposited in the Museum für Naturkunde at the University of Berlin. The "Ehrenberg Collection" includes 40,000 microscope preparations, 5,000 raw samples, 3,000 pencil and ink drawings, and nearly 1,000 letters of correspondence. His collection of scorpions, and other arachnids from the Middle East, is also held in the Berlin Museum. He was also the first winner of the Leeuwenhoek Medal in 1877. In his hometown, Delitzsch, the highest A-Level school, the "Ehrenberg-Gymnasium" is named after him. The best student of the school year receives the Ehrenberg Prize and a scholarship. Ehrenberg Island in the Svalbard archipelago is named after Ehrenberg. Ehrenberg, C.G. (1828). Naturgeschichtliche Reisen durch Nord-Afrika und West-Asien in den jahren 1820 bis 1825 von Dr. W.F. Hemprich und Dr. C.G. Ehrenberg. Historischer Theil. Ernst Siegfried Mittler: Berlin, . Ehrenberg, C.G. (1828-1900). Symbolae physicae, Species:Christian Gottfried Ehrenberg#Symbolae physicae. Ehrenberg, C.G. (1830-1836). Vorträge in der Akademie der Wissenschaften zu Berlin im Jahre 1830 -1836, . Die geographische Verbreitung der Infusionsthierchen in Nord-Afrika und West-Asien, beobachtet auf Hemprich und Ehrenbergs Reisen, S. 1-20, . Beiträge zur Kenntnis der Organisation der Infusorien und ihrer geographischen Verbreitung, besonders in Sibirien, S. 21-108, . Band 2 : Zur Erkenntniss der Organisation in der Richtung des kleinsten Raumes. Berlin: gedruckt in Druckerei der Königlichen Akademie der Wissenschaften, 1832-1836, (note: incorrect name at Google Books). Über die Entwickelung und Lebensdauer der Infusionsthiere, nebst ferneren Beiträgen zu einer Vergleichung ihrer organischen Systeme, 1831, S. 1-154, . Dritter Beitrag zur Erkenntniss grosser Organisation in der Richtung des kleinsten Raumes, S. 145-336, . Zusätze zur Erkenntniss grosser organischer Ausbildung in den kleinsten thierischen Organismen, 1835, S. 151-180, . Ehrenberg, C.G. (1835). Die Akalephen des rothen Meeres und der Organismus der Medusen der Ostsee. Abhandlungen der Königlichen Akademie der Wissenschaften zu Berlin. p. 181-260, with foldout between p. 260-261, . Ehrenberg, C.G. (1838). Die Infusionsthierchen als vollkommene Organismen. 2 vols., Leipzig, . Ehrenberg, C.G. (1839). Recherches sur l'organisation des animaux infusoires. J.B. Baillière: Paris, . Ehrenberg, C.G. (1840). Das grössere Infusorienwerke. Königliche Preussischen Akademie der Wissenschaften zu Berlin Bericht, 198-219. Ehrenberg, C.G. (1843). Verbreitung und Einfluss des mikroskopischen Lebens in Süd-und Nord Amerika. Königliche Akademie der Wissenschaften zu Berlin Physikalische Abhandlungen, 1841:291-446. Gravenhorst, J.L.C. (1844). Naturgeschichte der Infusionsthierchen nach Ehrenbergs groβem Werke über diese Thiere. Verlag und Druck von Gratz, Barth und Comp. : Breslau, . Ehrenberg, C.G. (1848). Uber eigenthumliche auf den Bamen des Urwaldes in SU-Amerika zahlreich lebend mikroskopische oft kieselschalige Organismen. Königliche Akademie der Wissenschaften zu Berlin Nonatsber. 213-220. Ehrenberg, C.G. (1854). Mikrogeologie. 2 vols., Leipzig, . Ehrenberg, C.G. (1875). Fortsetzung der mikrogeologischen Studien. Abhandlungen der königlichen Akademie der Wissenschaft: Berlin. ↑ "Book of Members, 1780–2010: Chapter E" (PDF). American Academy of Arts and Sciences. Retrieved 15 September 2016. ↑ Stadnamn i norske polarområde: Ehrenbergøya (Svalbard). Baker, I. D. B. (1997) “C. G. Ehrenberg and W. F. Hemprich's Travels, 1820–1825, and the Insecta of the Symbolae Physicae” Deutsche Entomologische Zeitschrift 44, (2):165–202. Kern, Ralf, "Wissenschaftliche Instrumente in ihrer Zeit", 4 vols., Cologne: Koenig, 2010. Chisholm, Hugh, ed. (1911). "Ehrenberg, Christian Gottfried". Encyclopædia Britannica (11th ed.). Cambridge University Press.